Top to bottom is a newly refurbished character cottage in the small village of Easton. 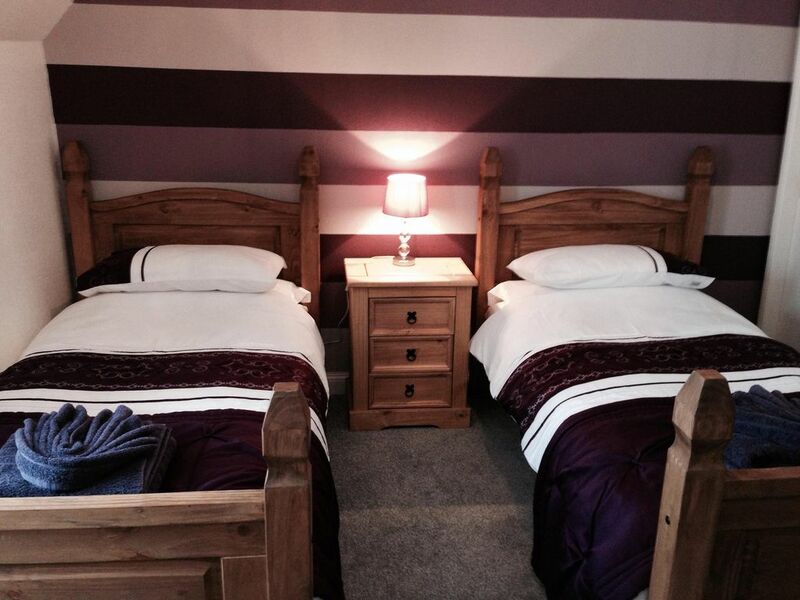 set over 3 floors, sleeping 6 in 3 spacious bedrooms, the top floor has twin memory foam beds and built in wardrobes but has very steep stairs not suitable for people with mobility problems. Second floor has two bedrooms front room has a double memory foam bed with built in wardrobes, back bedroom has twin memory foam beds. This was our second visit to this property - and the second visit didn’t let us down! The house is a real home from home - lots of lovely little touches such as the welcome gift and dog treats for the furry guests. It’s very clean and fully equipped with a modern kitchen and Now TV box to keep the children entertained in the evening. The location is perfect for amazing coastal walks but also has all the amenities you need in walking distance. Will definitely be back again! Thanks Stacey and family for such a wonderful break. A lovely cottage with many personal touches. Everything was catered for & some very kind touches including a Christmas hamper. We had a lovely long weekend stay in mid October 2018. The house was well equipped with everything we needed for a comfortable stay even tea and coffee was included and a welcome pack. There was toys and games which my young daughter appreciated. The house was spotlessly clean and everything seemed new we would definitely recommend. Not our first stay, beautiful little cottage in Easton that's always a pleasure to stay in. Greeted by a surprise that puts a smile on our faces every time. Looking forward to many more happy returns. The house has everything you could possibly need for a stay. They welcome hamper was a lovely surprise. The house is comfortable and beautifully turned out. Also, close to shops and buses into Weymouth. There was street parking close by. We were very happy with our choice.